This is a watercolour stamp, which was first stamped using white craft ink and then the image coloured with watercolour pencils in a variety of shades on a dark blue base. The shades were blended using a water brush. I really love the effect. This is another stamp from our sponsor this month Acid Drops and Whatnots. Having had longstanding problems with my back, I can empathise with the sentiment on this one. If you haven't yet checked out the wonderfully whimsical images available, do hop over there to have a look. 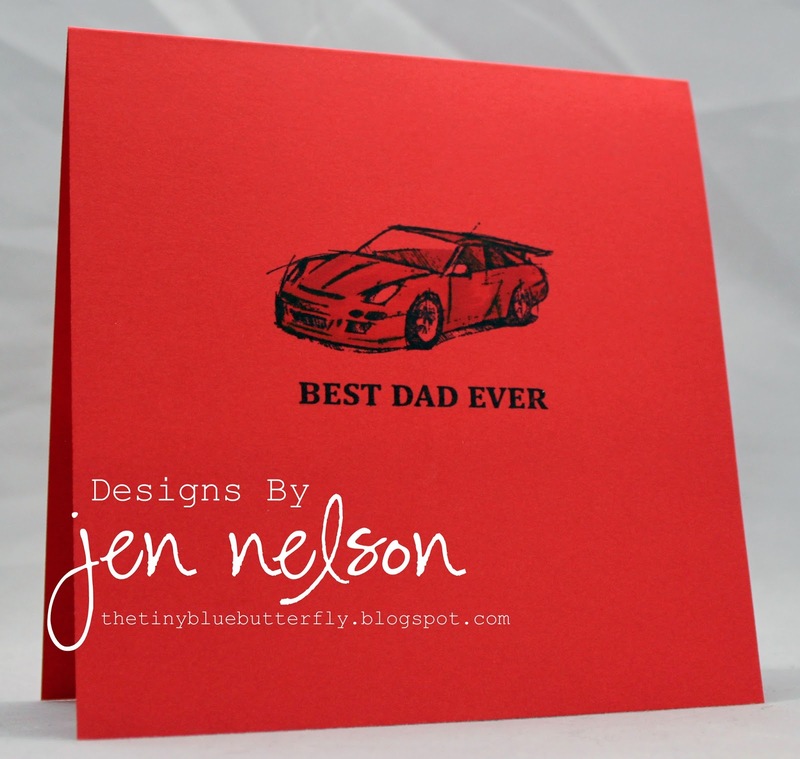 For my first card I am using the Need For Speed set from Stampin Up. I simply stamped it using my stamp-a-majig and the coloured it with a couple of red flexmarkers. 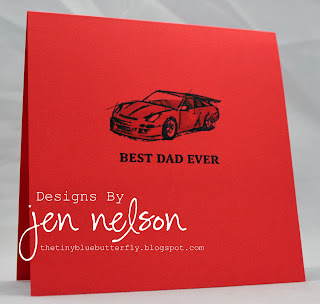 The Sentiment is also from a set from Stampin Up. 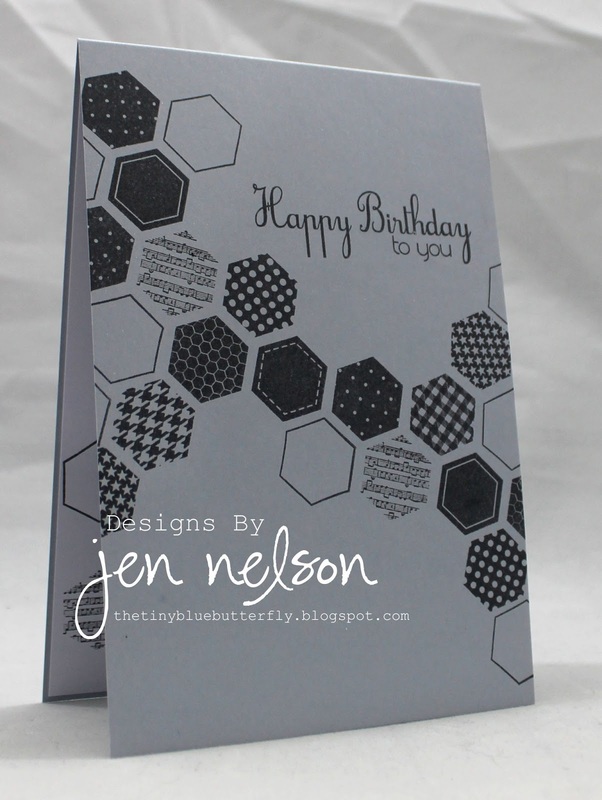 My second card uses the fabulous new set from Clearly Besotted, Honeycomb. They are stamped onto a pale blue pearl card base . The sentiment is from the same set. I kept both cards really simple to ensure the colour was the main element. Let's have a colouful week! nice challenge and great cards ladies! The design teams cards look great! This was a tough challenge for me as I usually only do white card bases. Your inspirational cards are really top notch this week, ladies! This was a fave challenge for me and, besides your cards, I will be bookmarking a lot of the entries!! Thank you!! Great challenge ladies. I would have gone for kraft but went for aqua instead! Lovely cards from you both as always! Great challenge with beautiful card inspirations! I love one layer card. Piękne i bardzo pomysłowe karty. Gratuluję wszystkim kreatywności. Sorry Ladies, I hadn't read the part about ONE LAYER, so please ignore my first card, and I've entered with this CAS one instead.